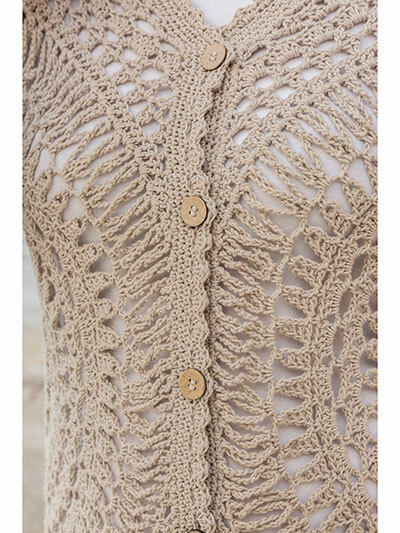 Like raindrops rippling on a pond, rings of lace radiate around this delicate cardigan. The curves and angles created as the ripples merge keep the project intriguing from start to finish. Crochet with 6 (6, 8, 9) balls DK-weight Patons Hempster in color ecru using U.S. sizes G/6/4mm (E/4/3.5mm, 7/4.5mm) hooks. 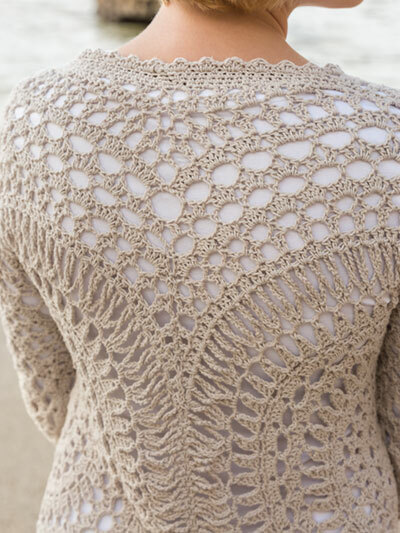 Design by Juliette Bezold for Annie's Signature Designs. Bust: 34 (38, 44, 50)"